AGE is all in your mind ? Hmmmmm……well, its hard to imagine that age is all your mind when you feel it in your bones. Yes, it’s true. I realize I’m not 30 anymore. I know I know….I don’t look 30 anymore either. I just picked up this article that you might find interesting. Click on the picture below for more on this subject. There are teachers all over the U.S. that will teach people of any age. There are many in Texas for example. Give your local teacher a call. It really is never to late to learn. 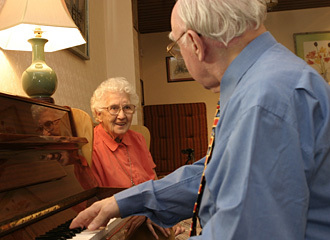 Recently, I sold a piano to a gentleman that was in his late 80’s and he had never played before and always wanted to. He told me “If I’m going to learn, there’s no time like the present”. 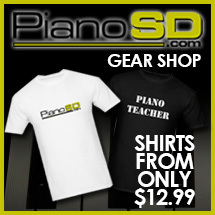 Stop by Piano Social Directory and see what’s new. Today I wanted to report on the happiest times and saddest times of our lives. Birth and death. Of course nothing is cuter and sweeter than a new born baby. Babies are so adorable and even smell good ( most of the time) they always make you smile. Conversely, deaths make us sad and graveyards can be so depressing. Los Angeles (most of you know is my favorite city on the planet) has just started placing these cool pianos all over the city. I am not sure how many they are actually placing but, the designs are really cool and make you smile. In an interview yesterday one of the guys who was behind getting these pianos put in place said that the most important thing in this ‘show’ was to get people playing the piano and get people interested in playing the piano and perhaps getting people who used to play – playing again. The statement was also made somewhere that “making music come alive inside of someone” is the primary goal. It so exciting to see people getting surprised by seeing a piano sitting in the middle of the sidewalk and then sit down and play. They just make you smile. 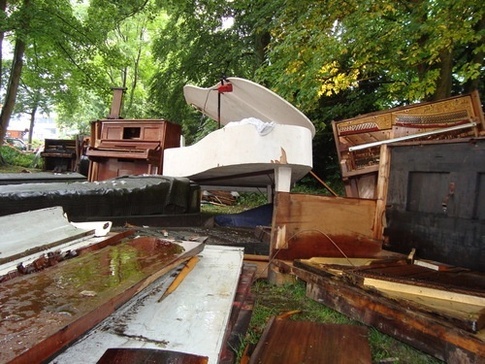 Yesterday I got this email from a friend and was surprised, disgusted and all around sad to see the caption of the picture and hear the story of how people just DUMP these pianos in this one particular place. It makes me sad that people just discard of these instruments as if they are just old pieces of dead wood that has no life. I suppose if you look at it through the eyes of a person who doesn’t play, it really is just a piece of dead – worthless wood. But, somehow it just breaks my heart to see this and to know how much joy this instrument bought into someones life and how full the piano made the home feel and the people that may have stood around it and sang Christmas carols, well, you get the point. Not sure how you feel, but, I like the first picture better than this one. Bring life into your home today – start playing. 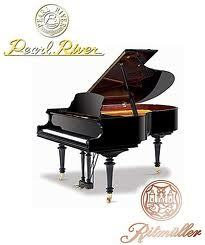 Today’s podcast announces a special performance at SoCal Pianos in San Marcos, CA just north of San Diego. 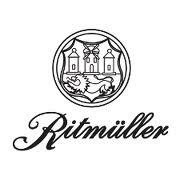 Duo Petrof at http://DuoPetrof.com will be having a very special concert on March 29th. 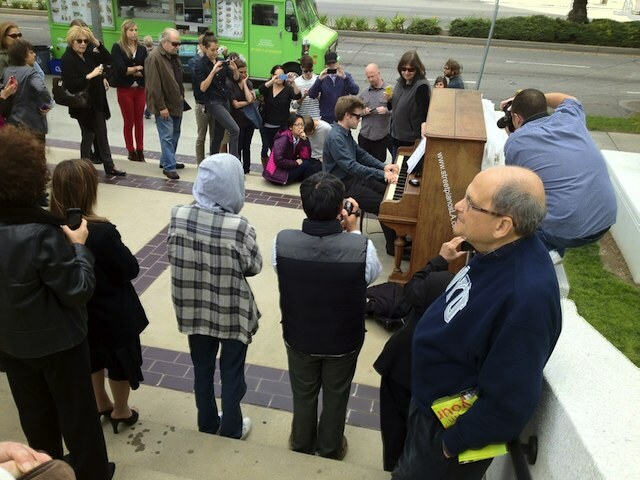 More information about SoCal Pianos can be found at http://socalpianos.com Also, some more marketing tips to help generate traffic and responses to your teaching business.